Putting India on the Wellness Travel Map The PATA Adventure Travel and Responsible Tourism Conference and Mart (ATRTCM) was held recently in Rishikesh (February 13-15, 2019), highlighting Rishikesh as a fast emerging wellness and yoga capital of the world, besides being an ideal destination for adventure travel, as it also has the highest spot for bungee jumping in India and the largest manmade lake in Asia. 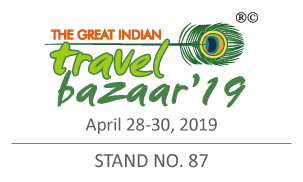 While India holds only 1.2% of the global share of international tourism, the tourism industry has surged to almost double of the global average. Indian Rupee - New Rules for NRIs A new directive has been issued by the Reserve Bank of India (RBI) according to which every non-resident Indian (NRI) and foreigner leaving the country will have to compulsorily change Indian rupees in their possession into a foreign currency before they board the flight, with immediate effect, or else Indian Custom officials can act against them. They can carry up to Rs. 10,000 only beyond immigration and customs desks, duty free shopping and security check areas. Foreign exchange kiosks have been opened beyond the immigration desks for the same. 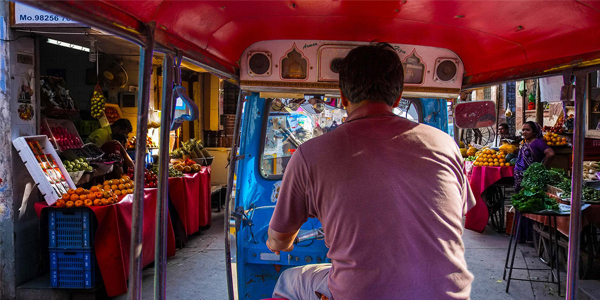 Government Liberalizes the e-Visa Regime, Making it More Tourist-Friendly The Government of India has liberalized the e-visa regime, in a welcome move to promote tourism. E-visa services have now been extended to 166 countries. 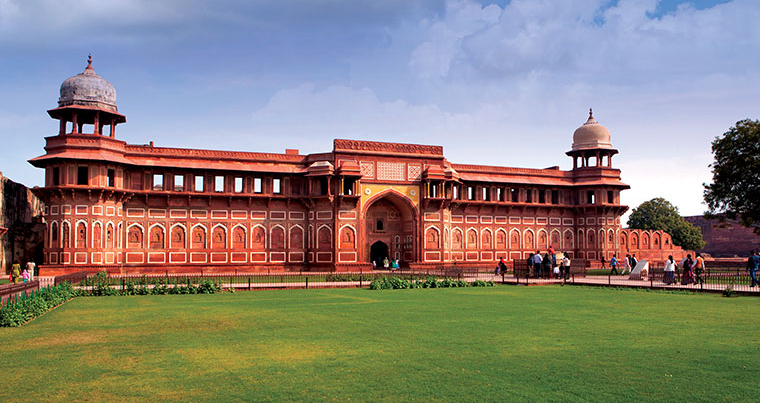 Furthermore, there is an increase in the duration of e-Tourist and e –Business Visas up to 1 year. Visa-on-Arrival services have been extended to many more international airports and ports. Additionally, Multiple-Entry visa rules have also been relaxed and changed, making them easier to acquire. 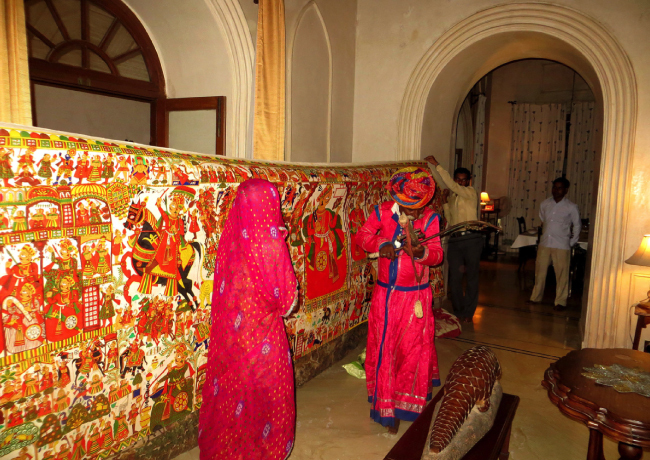 Inside the Magical World of Rajasthan’s Phad Paintings The intricately drawn Phad paintings are a 700-year-old living tradition Rajasthan’s of the Bhilwara district, with the legacy being carried on by the artists of the Joshi family of Bhilwara and Shahpura. Phad paintings are scroll paintings serving as ‘portable shrines’ dedicated to Devnarayan and Pabuji, legendary pastoral heroes of the nomadic Rebari tribe, hailing from the 10th and 13th centuries, respectively, depicting their heroic deeds. They serve as ‘portable shrines’. Considered as incarnations of Lord Vishnu, these heroes acquired the status of deities over the ages. Scrolls dedicated to Devnarayan are much bigger (30x5 feet) than those dedicated to Pabuji (15x5 feet). They do not usually depict scenes in a linear, chronological order. Priests (bhopo) carry the paintings, travelling from village to village, singing and narrating stories from the epics over a long performance lasting 9-12 hours which carries into the late hours of the night. ‘Pabuji ki Phad’ is the more popular of the two. Meanwhile, the audience makes donations in cash or kind. While the bhopas still pass on the oral tradition from father to son, the Joshi family has begun teaching the art to students outside the family, at Joshi Kala Kunj or Chitrashala in Bhilwara. 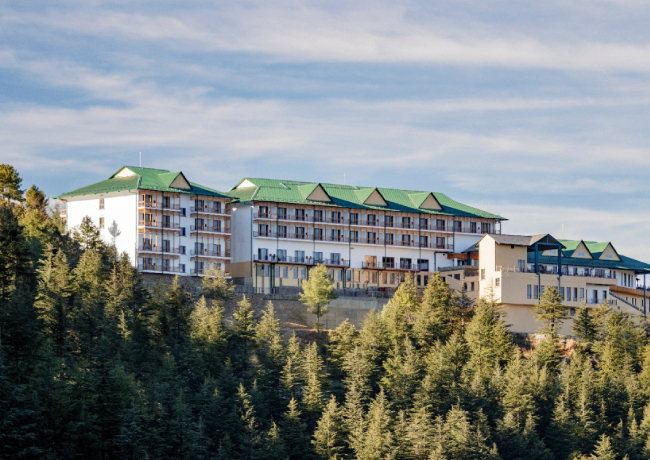 Taj Resort & Spa, Theog Taj Resorts & Spa is a centrally located 5-star luxury property in close proximity to all major tourist attractions. On offer are 99 well-appointed and tastefully decorated rooms, 2 restaurants serving global cuisine, a full service spa, a comprehensive business centre with conference and event venues, free Wi Fi in the lobby, an indoor pool and fitness centre for those who like to keep fit, a game room and children’s play area and babysitting services. Zone Palace by The Park Hotels, Jaipur Located on Ajmer Road (20 km from the airport and 35 km from Amer Fort), Zone Palace is a luxurious property offering 93 rooms with top of the line amenities and state-of-the-art fixtures. An all-day dining coffee shop and a fine dining restaurant serve regional and global cuisine for a great culinary experience. There is well-equipped gym, spa and swimming pool to relax and rejuvenate at leisure. There are several venues for events and conferences and a unique open bazaar – a potpourri of local culture, handicrafts, food and games. Pavilions Himalayas: Eco-friendly High-end Chalet Resort, Pokhara, Nepal Located atop a hill amidst lush green farmlands, Pavilions Himalayas is an eco-friendly resort built with natural materials and using local architecture, as well as by incorporating solar panels, insulated glass windows, rainwater harvesting, bio gas plants and organic farm produce, while ensuring open, magnificent vistas of Himalayan splendor. Each villa on offer has elegant interiors with all modern amenities. Other features include a clubhouse, swimming pool, heated Jacuzzi, sauna bath and spa, a bakery and a boutique. DusitD2 Yarkay, Thimphu, Bhutan Located on Chorten Lam, DusitD2 offers 83 rooms elegantly styled in a harmonious blend of Thai and Bhutanese elements, with the overriding theme of ‘Four Harmonious Friends.’ Other features include ‘Soi 8’, with an interactive live kitchen, which serves the choicest South East Asian (Bhutanese, Indian and Thai) and Continental dishes; ‘Four Friends’ Bar & Lounge; Club Skydancer (Karaoke Lounge and Bar) with state-of-the-art nightclub with a live band; and ‘Namm’, an authentic Thai Spa with a fully equipped gym, steam and sauna. 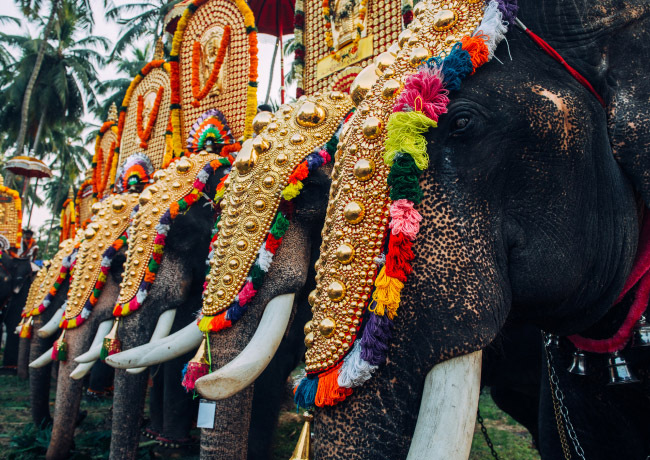 Thrissur Pooram Thrissur, Kerala May 13, 2019 Thrissur Pooram is undoubtedly the most vibrant and colorful temple festival of all – a tradition established in 1798 by Raja Rama Varma, the king of Kochi. Also called Thrissivaperoor Pooram, or the ‘the pooram of all poorams’, it is celebrated on pooram (moonrise in the Pooram star) in the month of Medam, as per the Malayalam calendar, at the Vadakkumnathan Temple situated on a hillock in the centre of city. It is believed that all other gods and goddesses gather here to participate in the festivities, riding on ornately decorated elephants, with grand ensembles of Chendamelam and Panchavadyam. Adorning Nettipattams (decorative golden headdress), beautiful bells and ornaments and intricate Kolams with decorative umbrellas perched atop them, the elephants are a beautiful sight to behold. Pooram festival is a 36- hour frenzy of unbroken celebrations, with Thiruvampadi and Paramekkavu temples being major attractions for spectacular fireworks on display. People from all walks of life and different communities come together to promote communal harmony. The beautifully decorated pandals are artfully created by Muslim craftsmen, while the material for the decorative umbrellas (Kudamatton) is provided by the Christian community. Vistara and JAL Codeshare: In time for cherry blossoms Vistara is the only codeshare partner for Japan Airlines in India, as per a partnership MOU signed by both parties in 2017. 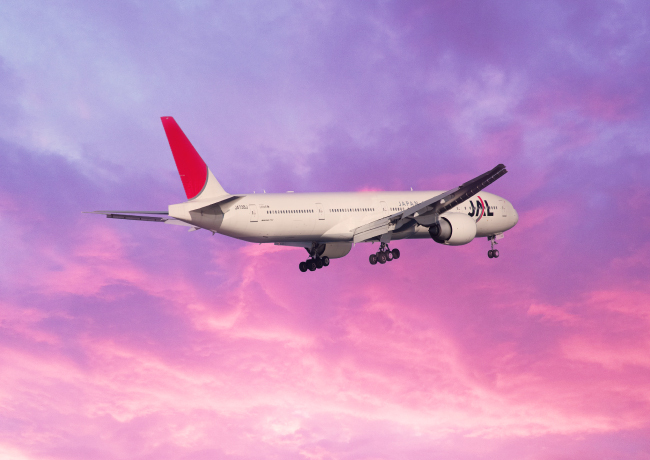 From February 2019 onwards, flight services as per the codeshare will cover Mumbai, Kolkata, Chennai, Bengaluru, Hyderabad, Ahmedabad and Pune routes to Tokyo. About 32 Vistara-operated daily flights across India will carry the JL designator code. Israeli Airlines to Launch Direct Flights to Goa and Kochi From September 2019 onwards, Israeli airlines Arkia Airlines will be operating direct flights to Goa and Kochi, both cities being highly favoured destinations for Israelis. There are over 25,000 Jews in Kochi alone, where a replica of the most famous synagogue in Jerusalem, is built. Rights of Air Passengers Announced by Ministry of Civil Aviation The passenger charter citing several important guidelines for airlines as well as passengers, has been released by Suresh Prabhu, Union Minister of Civil Aviation, along with Jayant Sinha, Minister of State, Civil Aviation, referring to various scenarios like flight delays, cancellations, refunds, overbooked flights, de-boarding, baggage loss compensation, etc. and the guidelines to be followed in the mentioned scenarios. Comments: We like to hear from you! Do send us your feedback and/or your travel experience with us !